Big Brother Naija 2018 female finalists Cee-C and Alex are currently angry at each other especially over Tobi. 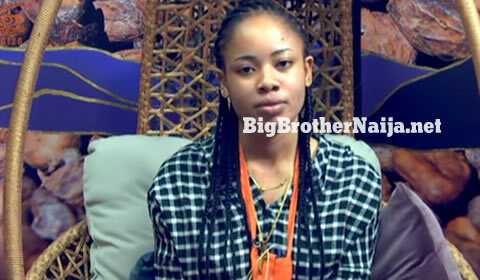 In the beginning of the show, Cee-C had a lovely relationship with Tobi even though she was too possessive and controlling and in so doing, she didn’t allow Tobi enough time to bond with all the other housemates. But with time, Tobi and Cee-C had a few misunderstandings and that is when Tobi began freely mingling with all the other housemates especially the females. This however didn’t go down well with Cee-C who since then has a problem with any female housemate who gets close to Tobi. Cee-C has had issues with Bambam, Anto, Khloe and Alex who have all been close to Tobi at one point in the game. 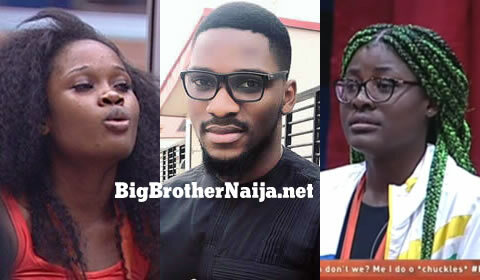 You can all remember during the pairing task when Bambam was paired with Tobi, Cee-C wasn’t happy at all with what was going on especially when she caught Bambam massaging Tobi. But things got even worse when Khloe and Anto were returned to the Big Brother house, Khloe told Cee-C who Tobi actually is out there and that’s why she wants him back, but the stumbling block is Alex. On the other hand Alex also wants Tobi probably after Khloe revealed Tobi’s worth in real life and that he comes from a rich family, however she has recently denied having any feelings for the guy. During last Sunday’s live eviction show, Big Brother Naija host Ebuka asked Alex what exactly was going on between her and Tobi to which she replied saying there’s nothing other than friendship. Ebuka also had a question for Tobi about his relationship with Alex, Tobi said it loud and clear that he would date Alex if she gave him a chance outside the BBNaija house. However currently things might be going too far between Alex and Tobi after last night’s events while the pair were in bed. Alex broke down in tears while writing a poem, Alex said she can’t make up her mind not to talk to someone and keep to it. She further added that it makes her feel like she isn’t as strong as they are. But guess what happened, Tobi calmed Alex down with sweet encouraging words, he also wiped tears away from her eyes and then comforted her with a warm hug. And whatever might follow between Alex and Tobi shouldn’t be a surprise to anyone because whenever a man and a woman spend so much time together, they develop feelings for each other. We still don’t know how Cee-C is planning to get back her man as time is not on her side. Actually this might act as a lesson to all ladies out there that you need to treasure your man before you lose him to another woman. Previous story Day 78: 5 Housemates Reach The BBNaija 2018 Grand Finale, Who Do You Want To Win The Grand Prize? Miracle for the money,we love our young talented pilot,let his dream come true. Alex deserves the money she is true picture of natural women….an African women. not artificial beauty. yes Tobi can get an original cultured women, and change her in what ever he wants. Cee-C for the money! 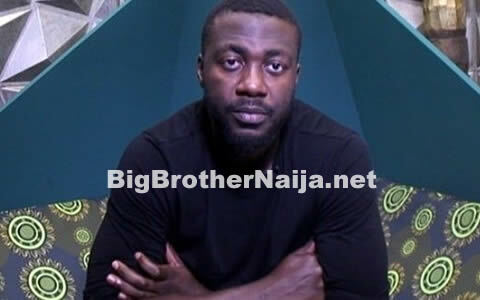 Tobi and Alex deserve each other. They have publicly said they understand each other 🙂 !Good luck to them. My Cee-C will heal, yes u all laughing saying she is in pain. Of course, she is in pain but its none of yo business! deal with yo own problems! She is dealing with hers the way she wants! Vote 4 Cee-C, the only king that is a woman in that house!